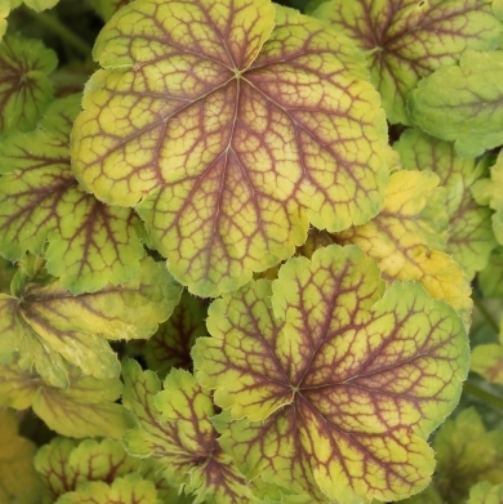 Heuchera 'Renoir'. Compact plants of yellow leaves with red veining. A strong growing coral bells. Red-pink flowers early to mid season on pink scapes (stems). From the "Master Painters"™ series by Thierry Delabroye of France. PPAF.